Long time readers will know that though I talk about house churches, church planting, and revival a lot, the passion of my heart is seeing Jesus raise up apostolic Christianity in the Earth. And while Jesus continually raises up movements that have bits and pieces of apostolic Christianity in them, there are fewer true examples of apostolic Christianity than the first century church. That’s why I was thrilled when Keith Giles produced a 9 part podcast on the Didache, a first century discipleship handbook created from the teachings of the original apostles. In case you didn’t know, the Didache is widely acknowledged to pre-date all of our New Testament books but wasn’t included in the New Testament. 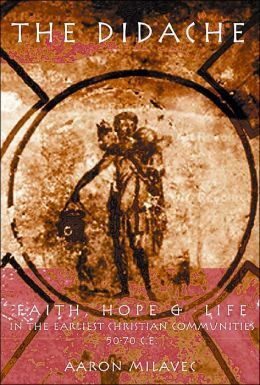 It gives a glimpse into the early lifestyle of the church and how they trained new disciples. While I wouldn’t call the Didache “inspired,” it definitely gives us good context to understand what the apostolic church looked like as it emerged in the first century. Keith does a great job of walking through the different chapters of the Didache and as a result, he’s produced a valuable resource for the church. If you’re interested at all in what the church returning to her apostolic roots might look like, I would highly encourage you to check out this series. I’ve listed the various episodes below. Also, several times throughout the podcast, Keith encourages you to go out on the internet and find a copy. Just for ease, you can read the whole Didache here or you can buy a copy here. Thanks, Keith, for this great resource! The Didache – Part One: What is It? Awesome Travis. Thanks for making it easier for everyone to find and track with me through this series. Glad you were blessed by it! Hopefully it will help others too. Thanks for stopping by and saying “Hey.” I’m glad to do it. I’ve been listening to the podcast series, but slower than you’ve been producing them. It felt like to good of a series to not recommend. 🙂 Thanks for what you do. It’s appreciated.